Smoothies are super popular with everyone in the household, including the kids. They are quick to make, nutritious and most of all delicious. Also, unlike juicing they top up your fibre intake as they use the whole fruit or vegetable. For children, they are great boost of vitamins, minerals, healthy fats and proteins. Our favourite time of the day to have one is mid afternoon when we need a pick-me up and something healthy to keep us going until dinner. Also the children have just gotten home from school, and often on their way to sport training, so this is the energy lift they need. My tip is to stock the freezer with lots of frozen packets of fruits and vegetables such as pineapple, banana, mango, mixed berries, kale and spinach. 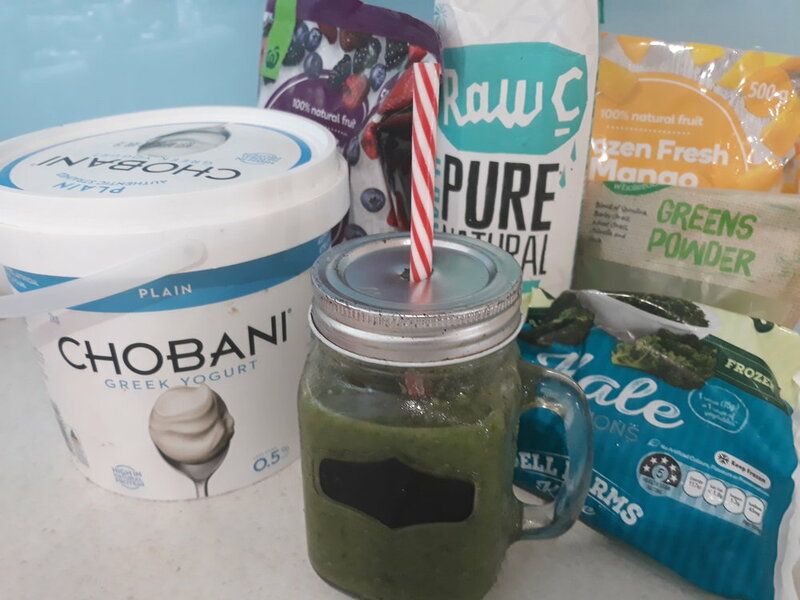 Other ingredients we use include milk (almond for me, cows for the children, coconut), Greek yoghurt, green powders, honey, chia, avocado and LSA (linseed, sunflower and almond). We usually don’t follow a set recipe and add what is available in the fridge. Get the children to have a go of making their own - but clean up the mess afterwards! If you are starting out, here are 3 easy options to begin with. Just add to a blender and blitz until smooth. MANGO MAGIC: 1 cup frozen mango, 1 cup yoghurt, top up with 1/2 coconut water 1/2 milk of choice. ENJOY! Would love to hear of your favourite go-to smoothies!